Telangana State Public Service Commission (TSPSC) has conducted the Teacher Recruitment Test from 24th February to 4th March 2018. Those who are looking for TSPSC TRT Answer key for SA, LPT, SGT can download below. Aspirants seeking to get various posts such as Secondary Grade Teacher (SGT), Language Pandit (LPT), School Assistant (SA), and Physical Education Teacher (PET) in the state of Telangana have appeared for the TRT examination. All the candidates appeared for TRT examination can check the TSPSC TRT answer key 2018 to estimate the score in the examination. Aspirants appeared for the TRT examination can find the answer key on TSPSC Official website, tspsc.gov.in. The answer key for SA, SGT, LPT, PET will be accessible. Also, the answer key for all sets will be provided by TSPSC. So that the aspirants can download the corresponding answer key and estimate the score. 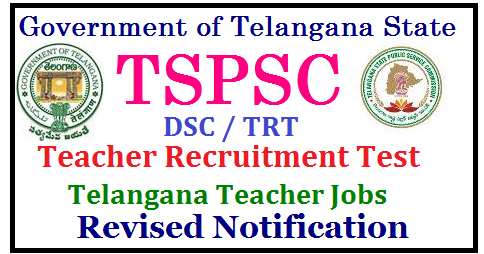 The Telangana State Public Service Commission (TSPSC) has recently issued the notification for a large number of posts. 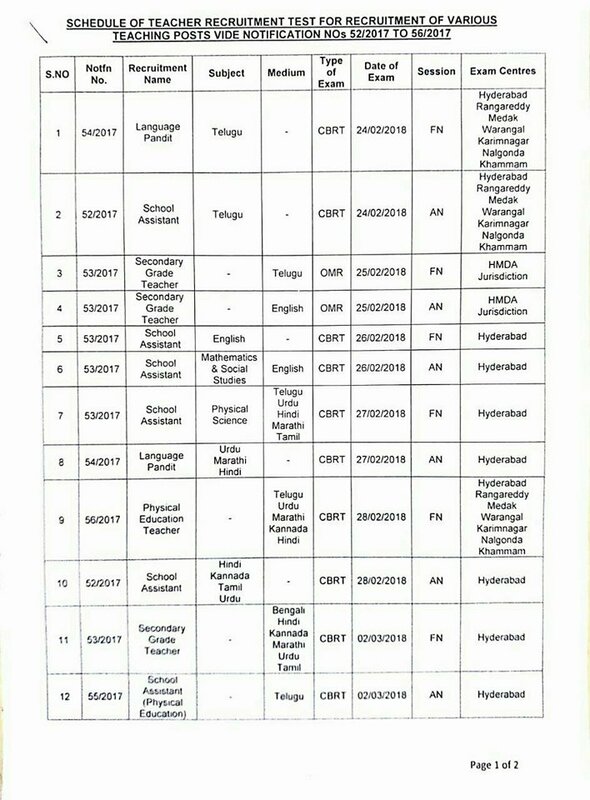 The TSPSC has announced 8792 various posts including Secondary Grade Teacher (SGT), Language Pandit (LPT), School Assistant (SA), and Physical Education Teacher (PET) posts recently. The recruitment of suitable candidates will be done through Teacher Recruitment Test (TRT). Candidates those have qualified in the examination will be appointed in Govt, Mandal Parishad Schools, Zilla Parishad, and Schools Under the control of the Tribal Welfare Department and Municipalities in the Telangana State. 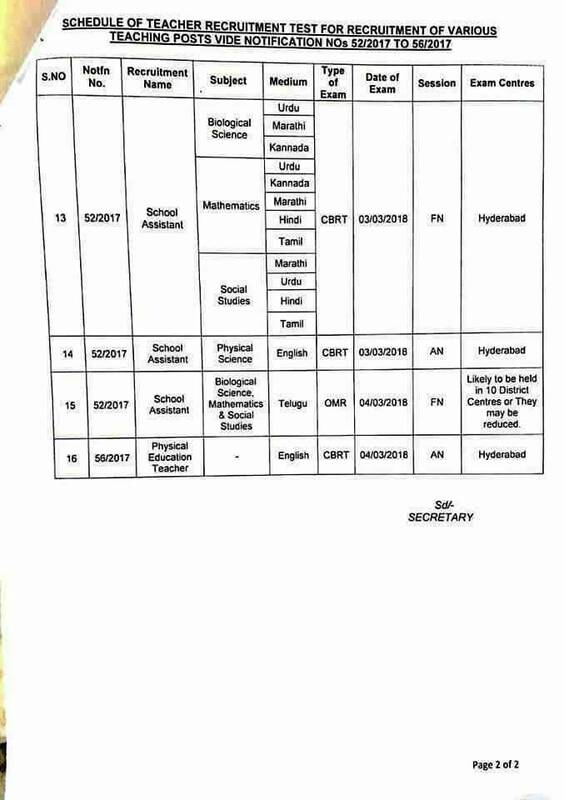 District Selection Committee (DSC), Telangana is going to appoint the selected aspirants in various schools for the announced posts of SGT, LPT, SA, and PRT posts. All the Papers will be given in Urdu, English, Telugu, Marathi, Kannada, Tamil, Hindi Languages for Students understanding. Candidates appeared for the TRT examination can download TS TRT Answer key 2018 PDF for SA, SGT, LPT, PET within 3-4 days after the examination. After downloading the answer key, compare your answers with the given answers in the official answer key. So, that estimating the score is possible. Candidates can roughly get an estimate about their probable score in the examination and can guess about getting their dream job. Along with the TSPSC TRT Answer Key 2018-2019 knowing about TS TRT Exam Key 2018-2019 is also very mandatory. The authority of Telangana Public Service Commission has fixed the Cut Off Marks and shared on their website. Moreover, to the help the people, we have also given some of the important aspects. Therefore, those who are waiting for category wise cut off marks can check this section carefully. In addition, to this, all the contenders belongs to OC, SC, ST and PH need to secure minimum 30% of Cut Off Marks. For BC contenders the cut off score should be 35%. And all the participants belongs to OBC need to score 40% of marks. Those who will secure the given cut off marks in the written exam are only got qualified in the further rounds. Therefore, you can easily allow participating in the further rounds. In the below, we have arranged some of the simple and easy steps to download TSPSC TRT Answer Key 2018-2019. In exercise of the powers conferred by article 309 of the Constitution of India read with sub sections (3) and (4) of section 169, sub-sections (3) and (4) of section 195 and section 243 of the Telangana Panchayat Raj Act, 1994 (Act No.13 of 1994) and section 78 and section 99 of the Telangana Education Act, 1982 (Act No. 1 of 1982), read with sub-section (1) of section 23 of the Right of Children to Free and Compulsory Education Act, 2009 (Central Act No.35 of 2009) and the National Council for Teacher Education (Determination of Minimum Qualifications for Persons to be Recruited as Education Teachers and Physical Education Teachers in Pre-Primary, Primary, Upper Primary, Secondary, Senior Secondary or Intermediate Schools or Colleges) Regulations, 2014 dt.12.11.2014, the Governor of Telangana hereby makes the following amendments to the Rules for direct recruitment to the posts of Teachers in the Government and Local Body Schools of Telangana issued in the G.O.Ms.No.25, School Education (General) Department, dt.10.10.2017.